Most CEOs reach the chief executive office an average of 24 years after starting their first job. But, there’s one sub-segment of CEOs who get there dramatically faster. They’re called “CEO Sprinters” according to the CEO Genome Project, a 10 year study that looked at over 17K chief executives. In the tech world, we read about these “CEO Sprinters” all the time. They choose the right high-growth startup at the right time, land the highest profile projects, get an impressive assortment of quick wins under their belt, and climb the career ladder at lightspeed, leapfrogging their peers along the way. Think Sheryl Sandberg and Marissa Mayer, to name a few. We hear about what they’ve accomplished (at such a young age no less!) and naturally want to know - what sets them apart? What do they do differently from everyone else? Do they work harder? Smarter? Faster? And... what about me? Do I have what it takes? Could I have a shot at the C-Suite? After reading about, studying, and talking with many of these career phenoms, I’ve found one dominant thread that sets them apart - each and every one operates by their own set of principles and values that guide their decision making. In my quest to uncover the unique principles of as many of these trailblazers as possible, I recently spoke with Nate Moch, Zillow’s VP of Product and Growth, and an active member of the Reforge Collective of growth leaders. From our conversations, I learned that his career started like many people in the startup world. Directly out of college, he took a job at Microsoft as a software engineer. After 2.5 foundational years at Microsoft, he plunged into the deep end of the startup pool, joining Zillow as an individual contributor and engineer working on site stress and performance. It was at Zillow that Nate really started to mobilize his career. He climbed his way up from engineer, to program manager, to launching and scaling the company’s industry-changing mortgage product, to VP of Product in just 10 years. And in the process, he helped shephard the company from pre-launch, to product-market fit, to growth, to IPO, and beyond, now leading growth at scale. I was dying to know - How did he accomplish all of that it in just 10 years?! To answer this question, we delved into his career story - and it ended up being a crash course in how to get ahead. Though Nate hasn’t reached CEO (yet), his choices and resulting career trajectory offer a compelling proof point supporting the findings on CEO Sprinters. They also offer inspiring insights for the rest of us strategizing every career move, rolling up our sleeves, and honing our respective crafts in the hopes of reaching our career aspirations sooner than later. Don’t be afraid to jump into new and unfamiliar territory - a new function, a new vertical, or a new industry. Don’t wait until you feel 100% ready, make the move when the opportunity arises, (especially if it’s high impact and high profile!) and know you can level up on the job. How do we overcome the fear of jumping before we’re “ready”? How do we find our confidence? How do we level up on the job? And Nate had some smart and actionable answers. Assemble a network of experts inside and outside your company to help you level up where you lack experience and skill. Raise your hand for high impact opportunities, even if you aren’t 100% confident. Build strong teams by hiring and developing people who will enable you to scale your impact. A few days into his first job out of college, Nate had a painful realization - he felt “woefully unprepared” technically for his new job as an engineer at Microsoft. He had graduated with a degree in computer science from DePauw University, a small liberal arts school in Indiana. As a liberal arts graduate, he received an excellent education that set him up for long term success. One challenge though was that he received less hands on technical experience than his peers who graduated from technical universities. During college he had fewer technical CS projects and internships, which meant he wasn’t as technically qualified as some of the other recent grads in his starting class at Microsoft. Stop for a moment - imagine the emotional charge of this conversation. You already feel unprepared, and then your manager tells you straight up that you are even less qualified than all of your other new graduate peers. You know you have to overcome a skill deficit to prove yourself - but how?! This kind of pressure would derail many people, especially those just out of college - but it doesn’t have to. And as stressful as this experience sounds, it ended up becoming invaluable in helping Nate find his formula for rapid career advancement. It was this struggle with being inexperienced and underprepared that forced him to learn one of the most important lessons of his career - how to transition from novice to skilled practitioner in just 12 months. Having to play “catch up” in his first job forced him to get really good at leveling up quickly. It also empowered him to to make bold, leapfrogging moves over and over throughout his career. And you’d be right - it is a fast turn around! The secret of how he leveled up so quickly lies in the depth and breadth of the network of experts he built - and the questions he asked those experts. When he started at Microsoft and realized he was at the back of the pack, he proactively identified, reached out to, and built lasting relationships with people across the company who were experienced in the areas where he was weak. He did the same thing when he was making the transition from engineering to product management at Zillow, finding a handful of PM mentors across the company to study and learn from. He identified where they were strong, and tried to mimic the behaviors that led to their success. One of his PM mentors was amazing at driving consensus, running meetings, and pushing projects forward. To leverage their expertise, he observed how they ran meetings, reached out for ideas and feedback when he got stuck on a decision, or ran decks by them to make sure he was going to get the results he expected from a meeting. Another PM was amazing at technical details and writing specs. He would go to them for spec reviews and questions about technical features. Everyone has different strengths and weaknesses, even people in the same position. The key is to identify each person's strengths and what you might be able to learn from them. Identify the experts in the topics areas you care about. Build a cross section of these experts from different teams across the org. Figure out where each expert excels, so you know who to reach out to, depending on what you’re trying to learn or solve for. Tap into this network of experts by observing and asking questions - lots and lots of questions. Be a sponge - absorb as much info, knowledge, and insight from your network of experts as you can. This approach allowed him to build depth into his network so he could get all of his questions answered without drowning one person. This leads us to another one of Nate’s insights - building a network of experts isn’t enough. You must also be fiercely inquisitive, and unafraid to ask “dumb” questions. Nate shared a story recounting one of his first meetings at Zillow. During that meeting, a coworker threw out a term Nate had never heard. He was hesitant to ask what it meant for fear of revealing his ignorance. But then, to his surprise, Zillow’s cofounder asked the very question he was too afraid to ask. In that moment, he realized something important - the smartest people in the room are the ones asking the lionshare of the questions. They’re too focused on learning to fear what others think of them. They know asking questions (especially of the experts) is the single fastest way to learn, level up, and become experts themselves. He used these skills first developed at Microsoft for building and tapping into a network of experts to level up, all over again when he joined Zillow. Build a patchwork of relationships across the company with people who’ve previously done what you’re trying to learn. Find thought leaders and experts outside the company, reach out, and build relationships. Turn to self learning with resources like books, articles, Google, and YouTube to teach yourself. Right off the bat, Nate started investing in relationships with Zillow’s Director of Operations, a few network and operations engineers, one of the architect engineers, the Database Administrators, the CTO, and the VP of Development. None of these team members were actively goaled on performance, or responsible for helping Nate, but they took the time to help him nonetheless. Each helped him level up in their own way since they had some experience in various pieces of performance tuning and testing for high scale web services. Nate worked most closely with the Director of Operations, even though he was in a different org, because he had deep technical knowledge and was very interested in performance. But he also relied on other “teachers” across the company, working closely with one of the engineering architects to test his system and to help him understand the topology of the entire system. It was Nate’s focus on identifying and patching together the right network of mentors with the experience he needed and the willingness to advise, that helped Nate learn so quickly. He didn’t just rely on his teachers within the company to help him learn, he also looked outside for experts to help him get up to speed. One of those experts was Steve Souders, a performance authority and thought leader whose blog he followed. Nate didn’t just passively consume Steve’s work though. He also emailed him to tell him he loved his new book, share how he was using his advice and tactics to improve performance, and ask him to speak on performance at Zillow. Steve even used a quote from Nate in his book! The myriad of ways in which Nate invested in building his relationship with Steve and learning from him, is just one example of how Nate sought out the experts outside his immediate sphere and invested in building mutually beneficial relationships with them. “Not long after I started, our CTO came to my desk and said, "Your stress lab is here." He took me into the hallway and pointed to my new “stress lab” - which was actually just a row of equipment in cardboard boxes. Since Zillow was small at the time, I had to figure out how to setup and configure the test lab on my own. Then, not long after I started, the build and deployment engineer left. So I ended up learning and running the build and deployment system as well, until I hired someone else to own it. While Nate’s first experience at Microsoft showed him that he could move from novice to skilled practitioner very quickly within the support system of a big company, his first experience at Zillow showed him that he could rely on himself to learn new things just as quickly at a small startup, without the same depth of resources. In his early days at Zillow, as much as he invested in teaching himself the ins and outs of site stress and performance management, he still ran into some big “failures” (and a lot of luck) along the way - one of which he describes in the anecdote below. “My job was to make sure the site was performant and could handle our traffic. The day we launched we got a front page article in the Wall Street Journal. We ended up with one million users. The site was up for a few minutes, and then, to my horror, it crashed. It turns out the next day we got a front page article in the Seattle Times titled, “Zillow Swamped, Crashes,” which ended up being incredible PR. These days I joke that that was my first foray into Growth since it ended up driving even more PR and user traffic. This story showcases the inherent risk associated with taking on roles you aren’t quite prepared for. But Nate argues those risks are worth taking when properly evaluated for career accelerating potential. Each progressive experience of leveling up empowered Nate to make bolder and bolder career moves that catapulted his career forward - which leads us to our next principle. With that feedback and a bit of reflection, he was able to see that his lack of confidence was slowing him down. Multiple times, he found himself thinking, “I don’t know how to do that” while hanging back from tackling new opportunities. Classic imposter syndrome! One year into his job at Microsoft, his manager suggested he blog about the product he was working on. After publishing his first few posts and getting feedback from developers reading his code examples, he started to realize he was an expert (in some people’s eyes). The same thing happened when he went to developer conferences. People asked him technical questions, and he was able to answer them. Leverage your strengths to open doors to opportunities that at first glance look out of reach. Take on side projects to figure out what you’re good at, what lights you up, and to build experience and credibility in the direction you want to move. That’s exactly how Nate made the transition from engineering to product management. While he was still in his first role at Zillow as an engineer, he had the opportunity to take on some product management responsibilities. He helped drive release, process across the org, and communication between engineering, test, and operations. In taking on this work outside his core role, he learned he was naturally very good at program management, and that it was where he could add the most value at the company. He also realized that product management was what got him most excited to come into work every day. Though he hadn’t had any experience with product management previously, the fact that he had started doing it outside of his role gave him the opportunity to make a career transition within the company. Switch to program manager and start over at the bottom level to prove himself, forgoing the promotion. This was a hard choice. Take the direct path upwards, or take a few steps “backwards” and bet he could level up quickly and make a huge leap forward down the road. He gave up the promotion and started over at the bottom. In doing so, he set in motion a critical turning point in his career that put him on the path to VP of Product and Growth. Talk about bold moves. By the time he raised his hand for a program management role, he had already leveraged his strengths to take on project management related responsibilities and demonstrate his competence. The combination of these two strategies helped him open the door to a rocketship role tasked with launching Zillow’s mortgage marketplace. He remained in that role for 7 years, scaling Zillow’s newest and second largest business to millions in revenue. He did this all while laddering up from Senior Program Manager to VP of Product, and simultaneously launching and scaling Zillow’s growth team. Over his time at Zillow, Nate has started and scaled multiple teams across the company. From starting the stress and performance team from scratch, to building and scaling the mortgage team, to now managing 150 people across 15 teams - Nate earned the reputation as someone who could hire, develop, and manage people to build strong teams. This skill is universally important across all high growth companies, and one of the most critical skills to cultivate if you want to advance your career as quickly as possible. 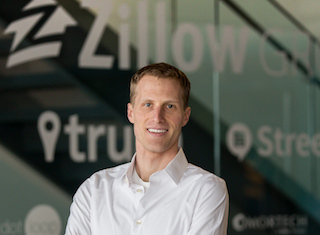 A few years into Nate’s tenure building the mortgage team, Zillow was looking for the right person to build out a traffic and growth team. Not surprisingly, they chose Nate because of his proven ability to grow new teams from the ground up. “If you’ve shown aptitude in certain areas, often it doesn’t matter the topic, the skill set is transferable, much like principles. If you can build a new product team and figure out a new vertical, you can probably build a new team to figure out growth. One of the foundational tenets of building strong teams is rooted in making sure your team, represents the full spectrum of skills, both hard and soft, needed to accomplish the team’s charter. The key to this is making sure each team member brings skills that are complementary in some way to the rest of the team. This empowers everyone to leverage their unique strengths to lead and drive impact where others on the team have little experience or skill. For example, say you have a deeply technical lead on your team who has a promising idea, but not much experience or interest in selling ideas across an organization and getting buy in. You’d want to make sure that technical lead has a strong product or business partner who excels at evangelizing and championing new ideas to get resources and support from leadership and the larger team. Building teams of contributors whose skills are complementary is all about first identifying the key skills your team needs to reach its goals. If you are starting from scratch, you can use that list of skills to identify who within the org has which skills and who may be a fit for your team, and advocate for them to join. Or you can hire in those target skills from outside candidates. This allows you to be proactive in assembling the right matrix of team members with the required talents and experience. It also prevents you from hiring reactively and ending up with big gaps or redundancies in your team. If on the other hand, you step into leading an existing team, start with that same primary step of identifying the key skills needed on the team. Then, get to know each team member and determine where they excel and how they add the most value to a team. Next, compare your list of needs with what your existing team members bring to the table. Which team members match up to which needs? Are there gaps? Redundancies? Once you’ve mapped this out, you will have ideas about whether some existing team members aren't a good fit and need to move on or if you need to bring in new talent. As you build out your team to include members that embody all of the required skills and traits, you also need to invest in developing the various managers and contributors that make up your team. This means that as the leader you are always grooming them to take on their next role. You want to coach them with radical candor feedback, give them new opportunities to stretch and grow, support them and teach them as they ramp up on new skills, and encourage them along the way. The goal is to help them advance the hard and soft skills they need to do their next role well. You want to help them develop their strategic and analytical thinking, problem solving and leadership abilities, confidence, and any other required skills to get them ready for new challenges. Nate explains, "After a few years of building out my growth team, I now have managers who know more than I do in each growth area. I have a strong leader for SEO, paid marketing, activation, engagement, and other teams." It’s important to remember that to be a good team manager you have to balance execution with leadership, and a large part of that includes developing and empowering your team to execute their work and be successful without you. If you’re always heads down doing your work, you won’t be able to scale the people or your team, or yourself. Growth isn’t just about growing your traffic, conversions, users and revenue. At its core it’s about growing your people in a way that empowers them to drive the growth of the company. The faster you can grow the next level of leaders to own and run your current team, the sooner you can start working on the next big thing. For Nate, as his career evolved and he laddered up to bigger and bigger leadership roles, this focus on building strong teams and and investing in the growth of his team members allowed him to consistently strike out into new territories and push his limits. To close out our exploration with Nate, we wanted to share a few of the resources, books, videos and learning tools that most influenced Nate at different points in his career journey, so far. We’d love to hear from you - if you have thoughts, opinions or questions about any of this, or if there are other books and resources you think we should add to the list, send us a tweet @natemoch, @reforge, and @laurenrobbass. Lauren Bass is a growth marketer at Reforge, a company that provides masterclasses in frontier skill sets for mid-career tech professionals. 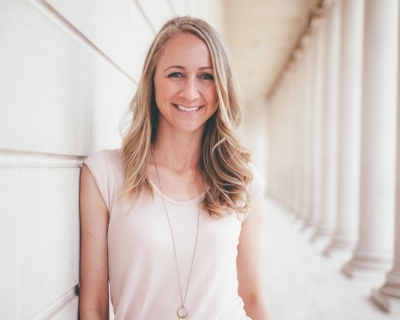 Previously, she worked on growth marketing at NerdWallet and prior to that she was the Founder and CEO of LolaBee's Harvest, an online farmers market acquired by Good Eggs in 2013.